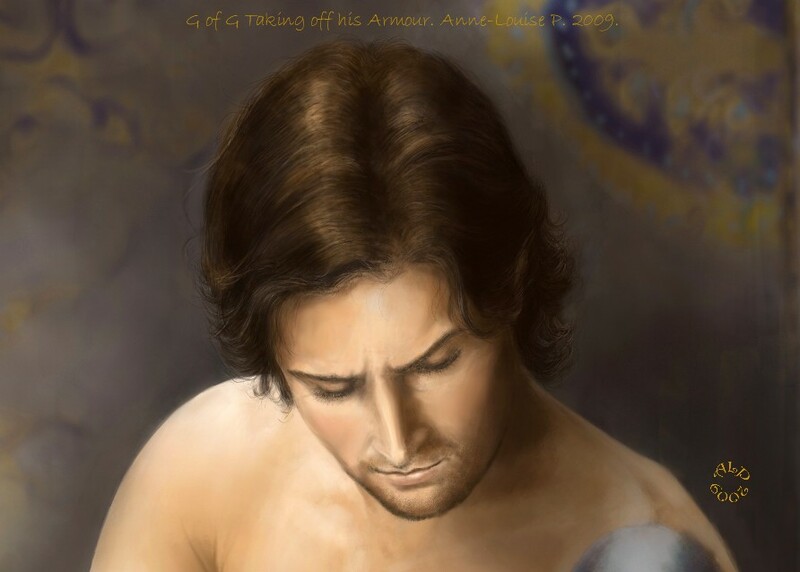 My very first foray into digital painting back in May 2009. I scanned my pencil sketch and brought it up in Corel 3, and then used a Wacom tablet and stylus and about a thousand layers to paint it…About 35 or so, anyway. 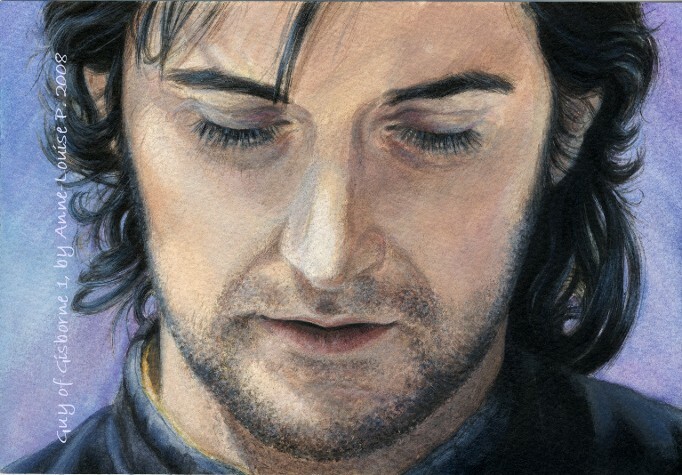 😉 Armour is so much fun to do in a digital programme. I have a larger monitor now; it’s much better for doing digital art! 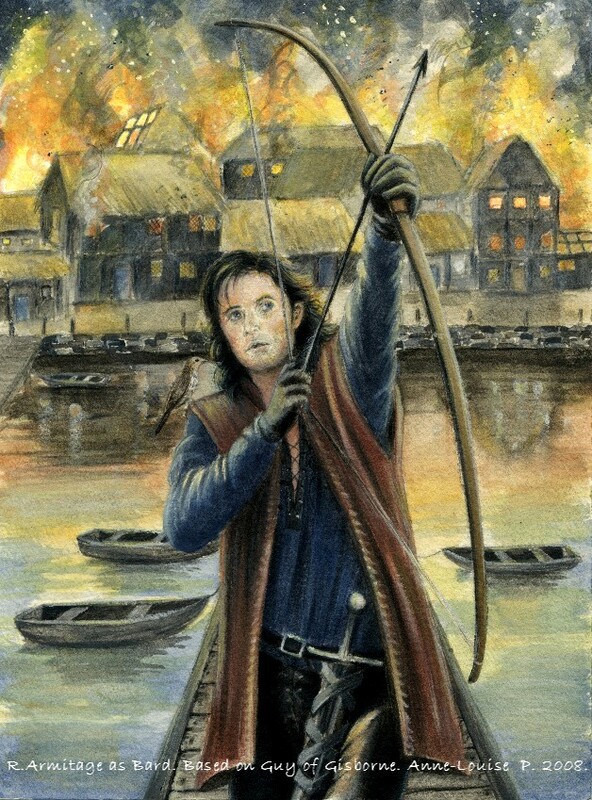 Robin Hood painting sequence pics. 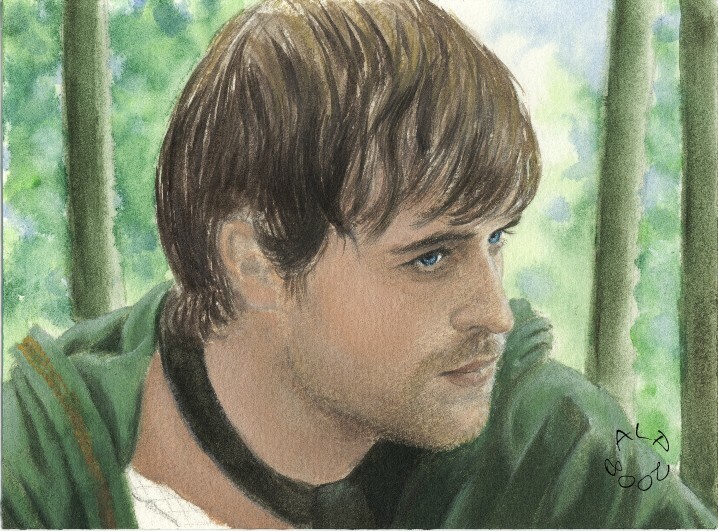 Robin Hood – Jonas Armstrong – acrylic and watercolour painting.